Beijing, (chinadaily.com.cn) 2014-05-15 – Despite the current slowdown, China’s luxury market is expected to grow in the long run, as the market matures in the next two decades and the country’s household income increases, according to a report released by Economist Intelligence Unit (EIU). The number of households in China with income of more than $150,000 is projected to rise to 10.3 million by 2030. On top of that, over one-third of the Chinese households will have income exceeding $50,000 by 2030, compared with around one percent of households currently, according to the EIU, the research and analysis division of The Economist Group. This will create a middle and higher income market larger than the entire population of the US, said the EIU, which indicates that a strong purchasing power is in the making. Currently, as many as 2.4 million Chinese boast assets worth more than 10 million yuan ($1.61 million), with 93,000 of them possessing assets surpassing 100 billion yuan, thanks to China’s booming property and service industries, said Zhou Ting, head of Fortune Character Institute, a luxury market consultancy. In 2013, Chinese spent $28 billion on luxury goods in the domestic market, while overseas spending on high-end goods reached $74 billion, according to a previous report released by Fortune Character Institute. 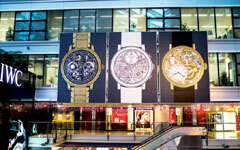 The combined spending accounted for 47 percent of the world’s total luxury spending that year. However, a survey by Hurun Report estimated that China’s wealthy spent 15 percent less on luxury goods and 25 percent less on gift-giving in 2013 than in 2012. 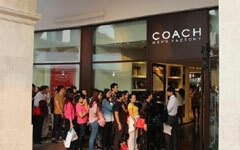 The deceleration came as a result of a slowing economy which dampened consumer confidence, as well as the Chinese government’s clampdown on extravagance and gift giving, both of which depressed luxury demand, according to the EIU analysis.